Here's what you need to know about our own Suriel Vazquez: Fighting games are kind of His Thing. Therefore, it only makes sense for him to be our tour guide through BlazBlue: Cross Tag Battle. 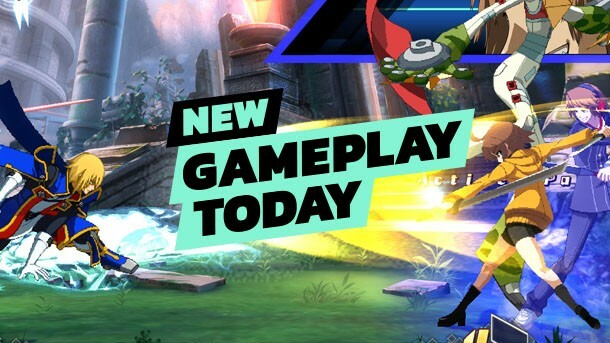 "What's BlazBlue: Cross Tag Battle?" you may be asking. Well, at least that's what Leo and I were wondering. Now we know. And you can, too, after watching our latest episode of NGT. Suriel walks us through just about everything you need to know about the game, showing off plenty of combos and explaining some of the deeper gameplay systems. Also, he takes the bait and shows off a little about the game's campaign, which I instantly regretted asking about. BlazBlue: Cross Tag Battle is coming to PlayStation 4, Nintendo Switch, and PC on June 5.